The city of Chicago on Thursday took a potentially big step toward reducing the harmful impact of its ticketing and debt collection practices on low-income and minority motorists, launching a task force that will examine issues ranging from disparities in enforcement to punishments for people who don’t pay their tickets. The task force, called the Chicago Fines, Fees & Access Collaborative, was created by City Clerk Anna Valencia and will bring together officials from police, finance and other key city departments, as well as more than a half-dozen aldermen, community organizations and independent researchers. The task force was prompted by reporting over the past year from ProPublica Illinois and WBEZ on the disproportionately heavy effects of ticketing on low-income and black communities. 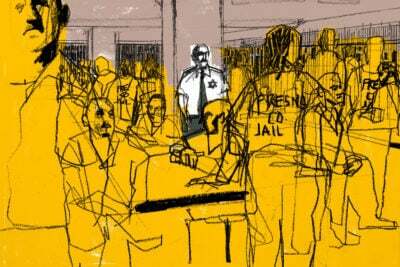 The reporting, combined with growing advocacy from community groups, has fueled an urgency for reform on the issue ahead of city elections in February. Over the next six months, the task force will meet monthly to discuss ticket costs, accessibility of payment plans, late penalties, the role of debt collectors and how license suspensions affect people’s ability to get jobs, among other topics. The group, which met for the first time Thursday behind closed doors, will also convene public forums to hear from city residents. It plans to release a series of recommendations in May, when a new mayor will assume office. In recent weeks, the city has approved modest reforms, including one from Valencia’s office to change the fee structure for required vehicle stickers, and two aldermen have introduced other proposals still under consideration. Parent activists from Community Organizing and Family Issues, or COFI, a Chicago nonprofit that works mostly with low-income women of color, suggested starting a task force. The group released a report in February called “Stopping the Debt Spiral” based on surveys with its members, including many who said unpaid tickets were a significant barrier to financial stability. Rosazlia Grillier, who helps lead the organization’s parent group, said she looks forward to working with city officials to find solutions though she is aware that some task forces end with little to show for their work. Chicago is the second city in the country to launch a fines and fees task force, following a model San Francisco invented two years ago. In some ways, the consequences of ticket debt in Chicago mirror those the San Francisco task force had also sought to address. Unpaid parking and automated red-light and speed camera tickets can trigger license suspensions and vehicle seizures, making it difficult for people to get to work or take their children to school. Other consequences are specific to Chicago. Thousands of motorists here file for Chapter 13 bankruptcy each year, in part to deal with the consequences of ticket debt, ProPublica Illinois reported earlier this year. The volume of cases triggered by ticket debt has helped make U.S. Bankruptcy Court in Chicago the nation’s capital for this kind of bankruptcy. Among the departments that are involved: finance, which oversees much of the city’s ticketing and debt collection programs; law, which is responsible for how the city deals with motorists who file for bankruptcy due to ticket and other city debt; transportation, which oversees the automated traffic camera program; and police. 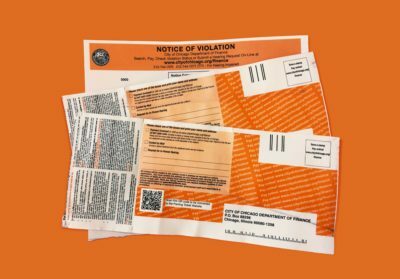 Tickets issued by police to vehicles that lack a required sticker — at $200, one of the most costly citations in the city — are given at far higher rates in majority black neighborhoods, ProPublica Illinois and WBEZ have found. This type of ticket has contributed to hundreds of millions of dollars in debt. Eight alderman representing districts across the city’s racial and geographic lines also serve on the task force, including Alderman Roderick Sawyer of the South Side’s 6th Ward. The creation of the task force comes as elected officials are campaigning in advance of elections in February. Pawar is a candidate for the city treasurer’s post; Valencia, who was appointed to the clerk’s job, is running for election; and the other aldermen involved are running for re-election. The nonprofit Chicago Jobs Council, which has advocated for an end to driver’s license suspensions for non-moving violations, including ticket debt, is one of a half dozen organizations that have signed onto the task force. Eric Halvorson, policy and communications associate for the jobs council, said he is optimistic about the potential for major reforms but cautioned that the task force itself isn’t a solution. “I think that it’s a whole system that involves a lot of well-intentioned people that is just hard to unravel because it’s been built up for so long,” he said. Other local university, research and advocacy groups involved include the Loyola Chicago Center for Urban Research and Learning, the University of Chicago School of Social Service Administration, Woodstock Institute, Heartland Alliance and the Sargent Shriver National Center on Poverty Law. The national Fines & Fees Justice Center, a New York-based advocacy group, is also involved. On Thursday, the group launched a national clearinghouse of information on fines and fees to help spur reforms across the country. The issue has gained increased national attention since the release of a 2015 U.S. Department of Justice report that highlighted how the criminal justice and court systems in Ferguson, Mo., relied on excessive fines and fees to generate revenue. In Chicago, ticket revenue brought in nearly $264 million in 2016, or about 7 percent of the city’s operating budget. It’s unclear if the creation of Chicago’s task force will affect two proposals to reform parts of the ticketing and debt collection system. Both proposals are sitting in the City Council’s Finance Committee, which meets next week. Alderman Gilbert Villegas, of the Northwest Side’s 36th Ward, proposed sweeping changes to the system of late penalties and towing fees, including allowing for community service in place of some debt repayment. Villegas, who chairs the City Council’s Latino Caucus, said there needs to be a sense of urgency around the task force, which he has joined. Another proposal from Alderman Ed Burke, who represents the Southwest Side’s 14th Ward and is chair of the powerful Finance Committee, would require the city to consider motorists’ income before starting a license suspension over ticket debt. Calls to reform Chicago’s ticketing system have grown louder in recent months, with several candidates for mayor promising reform. And some modest changes have already been approved. Last week, Chicago dismissed some 23,000 duplicate vehicle sticker tickets and said it would refund an additional 12,000 duplicates dating to the early 1990s. 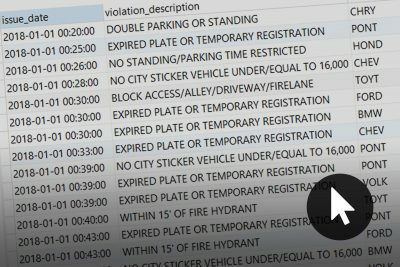 The announcement came five months after a ProPublica Illinois and WBEZ investigation revealed that, on nearly 20,000 occasions since 2007, motorists had been been cited more than once on the same day, in apparent violation of the municipal code. Last month, the City Council approved reforms as part of the 2019 budget. One change, proposed by Valencia’s office, will allow residents to pay for required vehicle stickers in four-month installments to help avoid $200 tickets. With late penalties, city sticker tickets can cost $488. Another approved change, from the city’s Law Department, allows motorists to wipe away old ticket debt by filing for Chapter 7 bankruptcy. They would still have to pay off their more recent ticket debts, although all late penalties and collections fees would be waived. 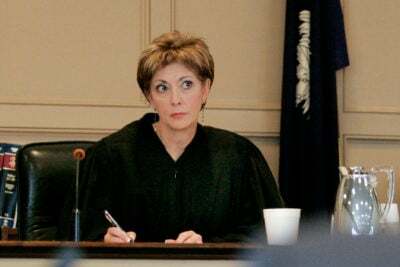 The change is meant to deter drivers from filing for bankruptcy under Chapter 13, which typically ends without any debt relief and little if any revenue for the city. Already, the city’s promise to wipe away old debt for motorists who file under Chapter 7 is starting to generate buzz at the bankruptcy court’s help desk, where volunteer lawyers offer assistance. Martin Martinez, who coordinates the help desk for LAF, formerly known as the Legal Assistance Foundation of Metropolitan Chicago, said ticket debt is one of the primary reasons people show up at the desk. “It’s been a little refreshing to now have this option for clients,” he said.